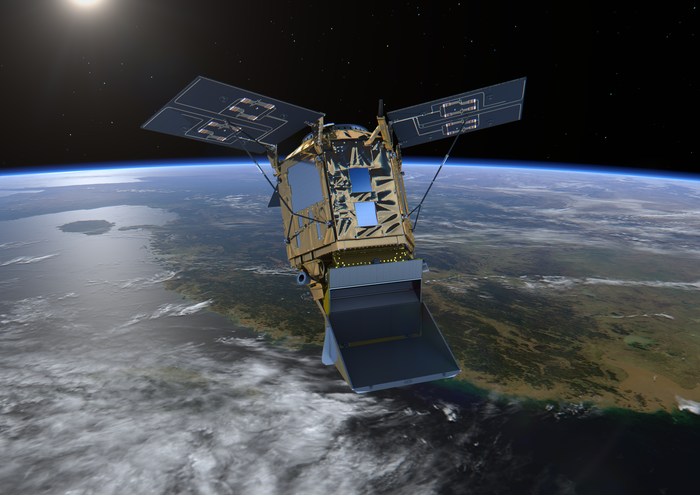 Artist’s rendition of TROPOMI onboard Sentinel-5P satellite. Source: European Space Agency. Last Friday, the European Space Agency Sentinel-5p satellite went into orbit above the earth. Onboard is an imaging spectrometer instrument called TROPOMI, led by SRON (Netherlands Institute for Space Research) and KNMI (Royal Netherlands Meteorological Institute) to monitor the amount of methane, ozone and other air quality-related pollutants in the atmosphere. Methane sources include both natural and manmade emissions from livestock, agriculture, oil and gas operations, and landfills. These sources are distributed around the world and vary widely at local, regional and temporal scales—which makes it challenging to quantify emissions from diverse sources. This is where satellites come into play. They bring together the unique capability of continuously monitoring the entire planet, measuring critical geophysical variables, and mapping change by collecting long-term datasets. The TROPOMI satellite sensor brings significant advances in the monitoring of air pollution in terms of better resolving methane, and other major pollutants affecting air quality (e.g. NO2, SO2, formaldehyde, aerosols). For instance, data from TROPOMI will be available at 7 km x 7 km grids around the world, on a daily basis—which has never been available a this level of spatial-temporal resolution for methane or the other pollutants. Since clouds affect the detection of methane from space, TROPOMI’s daily data coverage will be critically important to ensuring we have regular measurements of emission levels in order to build robust statistical pictures of what is happening. Combined with sophisticated techniques such as atmospheric inverse modeling, data from TROPOMI will be used to derive methane emissions occurring on the ground. So-called “bottom-up” methods of characterizing emissions—measuring from facilities on the ground—provide valuable and detailed information about emission sources. But the bottom-up emissions inventory often has gaps. For technical, political and proprietary reasons, accurate on-the-ground data on emissions of pollutants is not available for many parts of the planet. Yet, atmospheric inversion allows us to produce “top-down” estimates of emissions which can be done without access to a site and much less expensively. This technique accounts for complex atmospheric transport processes in determining the emission source and magnitude. The resulting emission data is key to improving emission inventories, and helping inform effective policymaking. 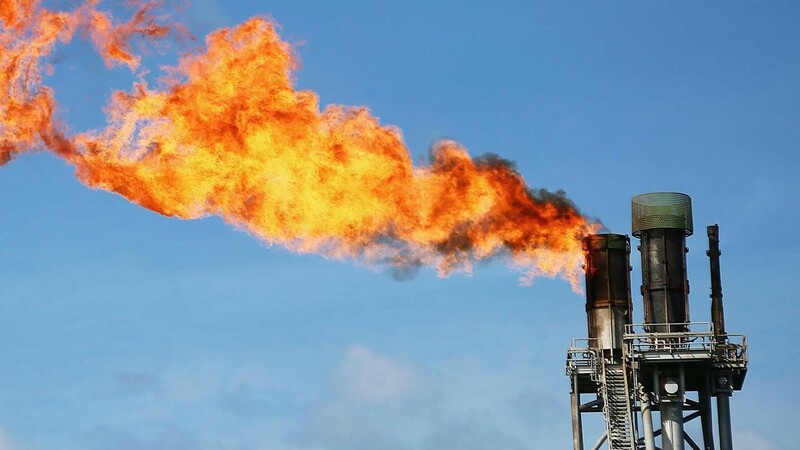 EDF is partnering with researchers from the Netherlands Institute for Space Research (SRON) responsible for TROPOMI to characterize methane emission hot spots linked to the global oil & gas sector, in addition to other emissions/leaks occurring from the fossil fuel energy sector. Using data from TROPOMI, the project aims to attribute emissions to specific sources over time, from days to months to years, as well as quantifying those emissions. This project will involve developing state-of-the-art algorithms for processing vast amounts of raw satellite data to derive value-added methane emissions data. This multi-year project, led by Ilse Aben from SRON, also involves other partners including Airbus Defense and Space Netherlands, Shell and TNO. EDF will provide technical expertise and advisory in the spatial-temporal characteristics of methane sources from the oil and gas sector, and participate in the data analysis and synthesis of the results from this project. This satellite mission is a big step forward in painting a clearer picture of worldwide methane emission sources and the associated rates of emissions. * TROPOMI is a partnership between SRON, Airbus Defense and Space Netherlands, KNMI and TNO, as part of the European Space Agency’s Sentinel-5P satellite mission.